Okay, you’ve officially got a full month to shop for Halloween, but you should probably get started early, because here are ten hot items shaped like the Skull & Crossbones – such a popular design year-round, really – that everyone will want to own, whether to plan the perfect Halloween Haunt or to just to live your life like everyday is Halloween! 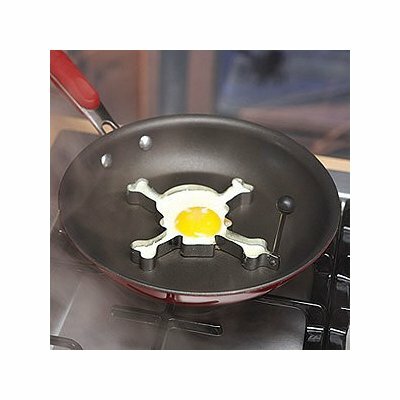 Skull & Crossbones Egg Cooker: One Skull over easy, please! 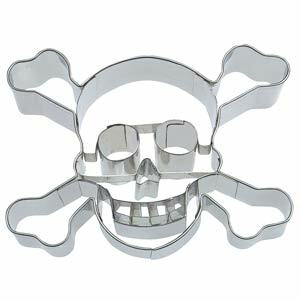 Skull & Crossbones Cookie Cutter: Crispy, Oven-baked Skulls, mmm…delicious! Skull & Crossbones Ice Cube Tray: Bone Chilling! 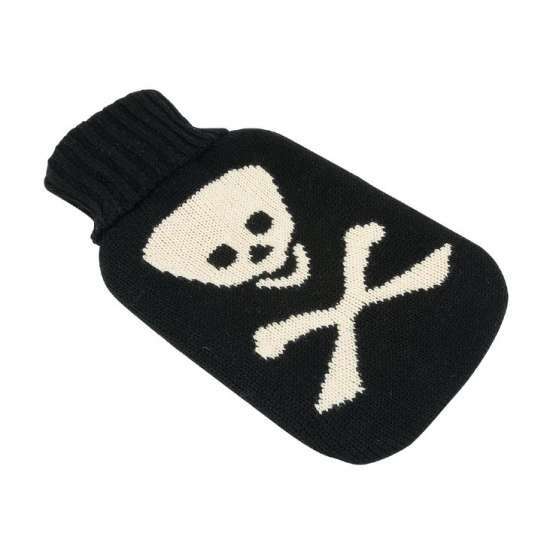 Skull & Crossbones Hot Water Bottle Holder: Warm your bones! 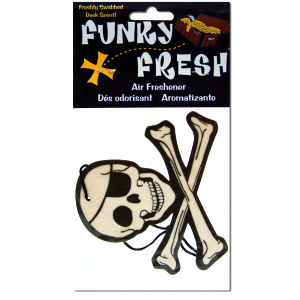 Skull & Crossbones Air Freshener: Because it smells like death in here! 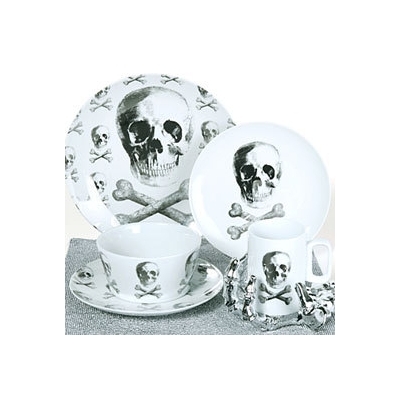 Skull & Crossbones Dinnerware: Dead animal flesh never tasted so good as when you grill it up and serve it on these plates!! 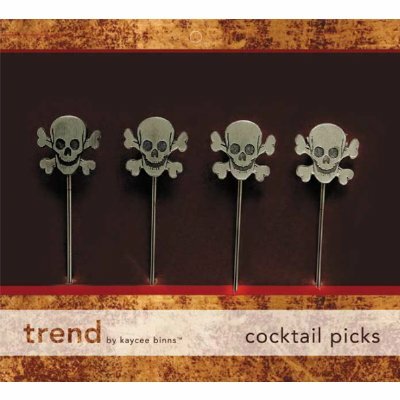 Skull & Crossbones Cocktail Picks: Be the life of the party when your snacks are skewered on these picks! 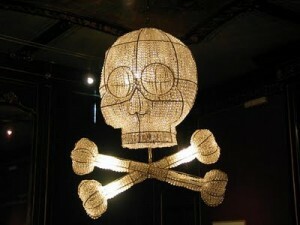 Skull & Crossbones Chandelier: Illuminate the penetrating darkness with real style! 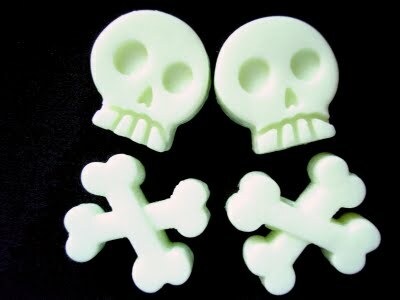 Skull & Crossbones Soaps: Dude! They Glow in the Dark! 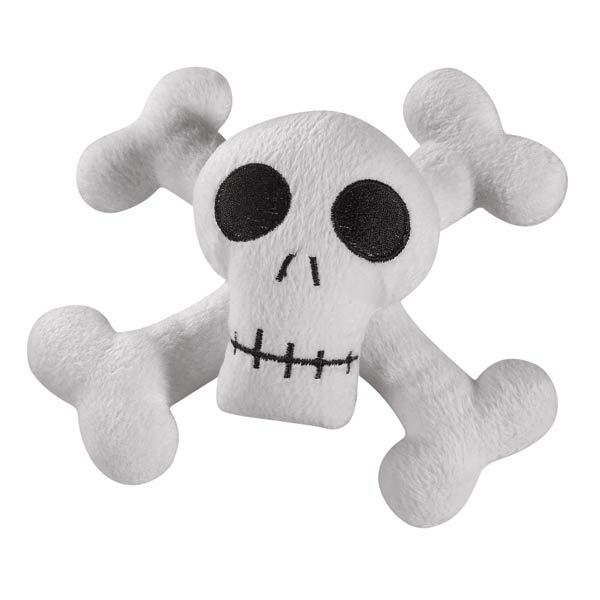 Skull & Crossbones Dog Toy: Give your dog a bone he can really sink his fangs into! OMG! The Skull egg maker is tres cool!!! I have the ice cube tray. I want those soaps bad! The egg maker is no longer available…. curses! I own the ice trays!